I am White, Dr. Haddad is Black. For the rules concerning the new pieces, refer to the OP of the thread above. As this is a playtest game, feedback is appreciated ITT from any member who is interested in musketeer chess. Re: Musketeer Chess, Series 2 - Playtest Game. I'm waiting for your move. 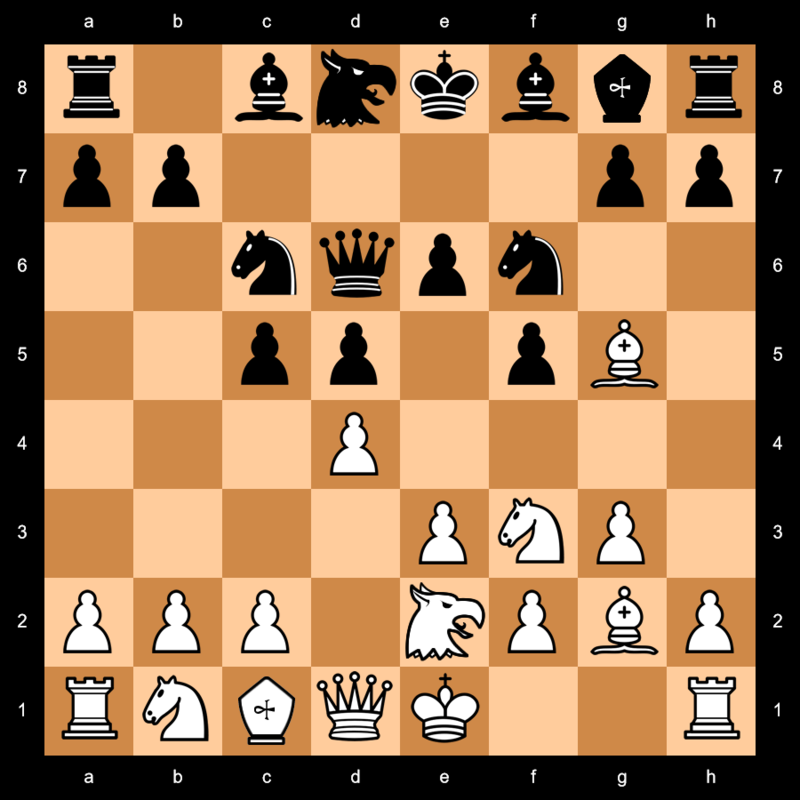 13.dxe5 is an illegal move, u mean dxc5 right? What do you think of the new pieces? I mean, it's your call whether these are worthy of being the final product or not. Too busy with many professional and personal things to deal with. Likewise. I'll update with a diagram later. This one's been inactive for a while. A draw?